It's day two of Digit-al Dozen Love & Heartbreak theme week. 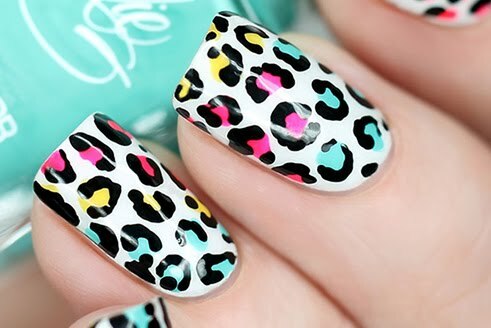 Did you see those manis yesterday? Amazing! 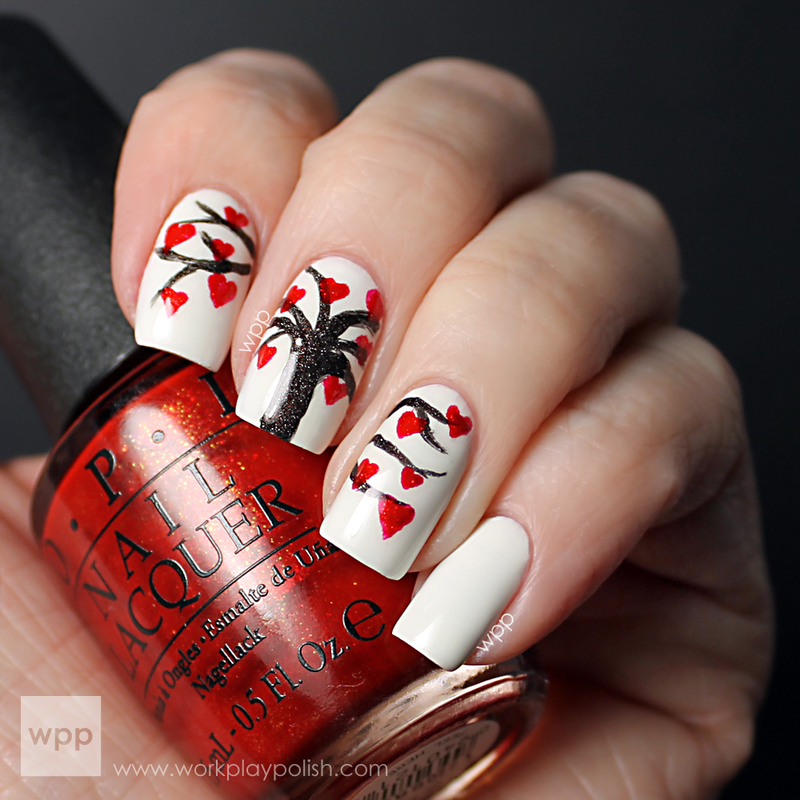 Today I have a "heart tree" created with three OPI's: Alpine Snow, My Private Jet and The Spy Who Loved Me. 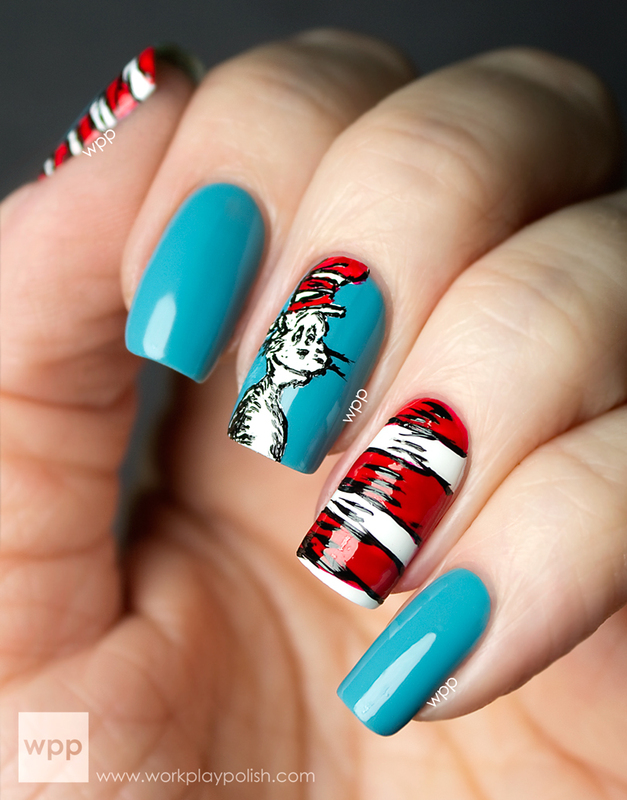 This isn't an original idea - there are 100's of clip art versions out there - but I thought it would be fun to interpret as nail art. I started with two coats of Alpine Snow, then painted the tree trunk and branches with My Private Jet. Finally, I used a teeny nail art brush to freehand the hearts in The Spy Who Loved Me. I knew if I tried to make the hearts perfect, I would fail miserably! So instead I kept it "crafty" and didn't stress to much. 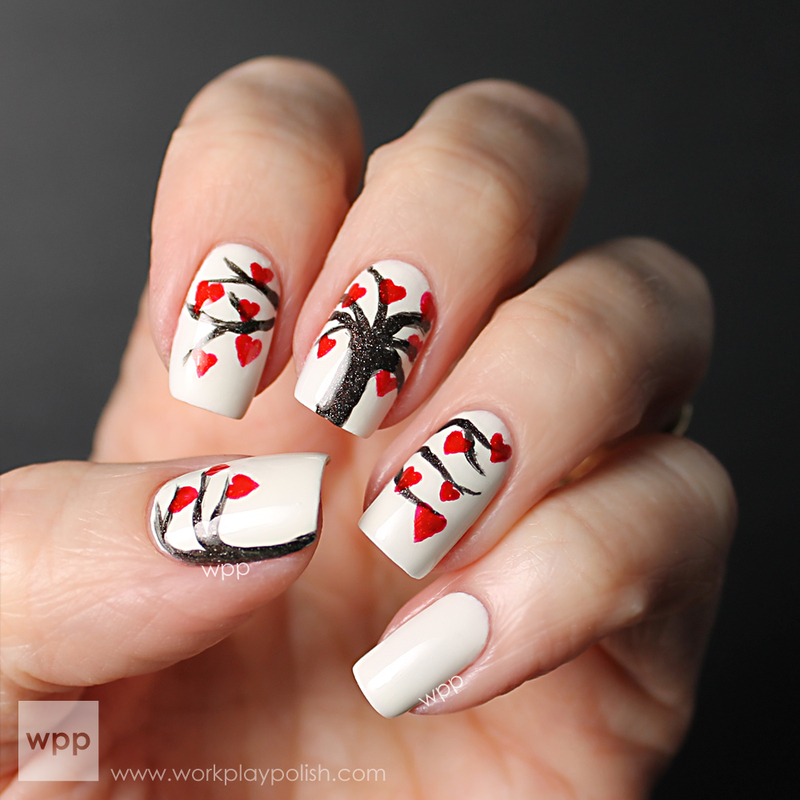 Don't forget to click the link to see the other Love & Heartbreak manis from the rest of the Digit-al Dozen!